Campus Oil is constantly monitoring oil price changes so that we can offer low fuel prices to our commercial oil customers. Campus provides a wide range of Commercial Fuels with a flexible delivered service designed to suit your needs. Quality assurance is guaranteed all our fuels are sourced directly from the terminal and tested regularly. Our Sales Center Team is on hand 6 days a week to assist you with any of your commercial fuel requirements or needs. We supply a diverse range of sectors including agricultural, marine, haulage, commercial, industrial, construction, pharmaceuticals, schools, hospitals and a load of others that are two varied to name!!! Our team are happy to review your requirements, we can offer a number of different supply options with low cost pricing, flexible credit terms and delivery and service designed to best meet your needs. For an express commercial quote, please complete the Express Enquiry form on the top of the page by entering your requirements and contact details. Too lazy, no problem, just call us on 1850 839 839 and we will fill in the gaps. 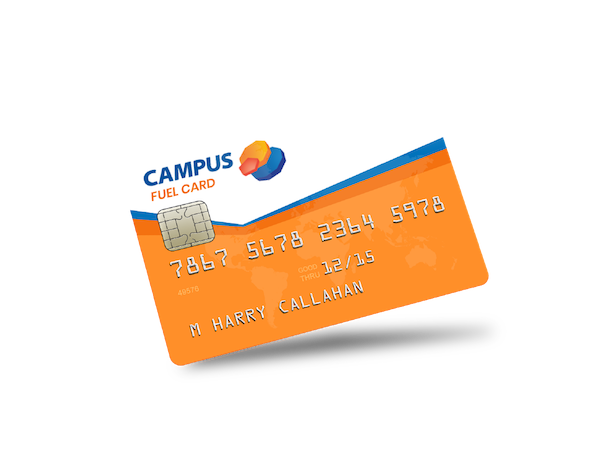 Campus has over 2,800 fuel cards being used in Ireland today across 760 service stations, this now includes all Circle K Service Stations Nationwide.